Meanwhile in 1978, 1980 and 1989 it didn’t mean much. Investors who sold on this indicator likely regretted it. A cash position is, quite honestly, dead weight. 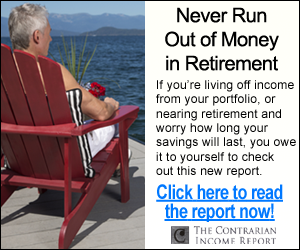 As I write our Contrarian Income Report portfolio yields a generous 7.4%. 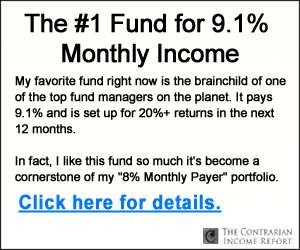 Every million dollars in cash that sits on the sidelines misses out on $6,166.67 in monthly income. That adds up quickly! Fear, even when justified, can be quite costly. 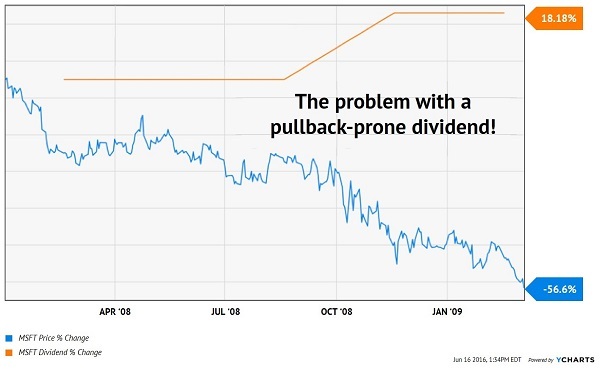 A better idea with markets (again) a bit frothy is to invest in pullback-proof dividends. 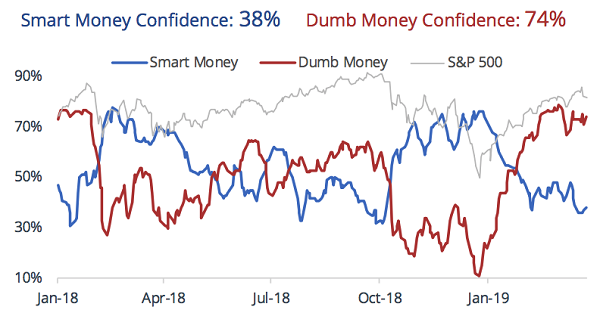 For example, we fittingly launched the Contrarian Income Report months before the market’s tantrum in 2016. The S&P 500 promptly dropped 10% as a welcome present! My bet is that carefully curated bond funds will repeat their resilience during the market’s next pullback. And honestly, it shouldn’t matter to you with a true “no withdrawal” portfolio that lets you focus entirely on dividends and ignore price action altogether. Here’s why. Most investors practice “buy and hope” investing. They pick up shares and root for them to appreciate in price. And that’s it. These first-level types have no plan on how to generate cash flow from their holdings. They think they’ll sell someday, and hope it’s at a higher price. But they don’t have a set game plan to sell and methodically collect regular, sustainable cash payments from their portfolios. Many financial advisors step into this void, pitching a “4% withdrawal rate.” These guys (who have not retired successfully themselves, by the way) say that you can safely withdraw 4% or so every year from your portfolio and use this as spending money. Generally, they’re right. But when they’re wrong, it’s disastrous. Investors who practiced the 4% withdrawal “strategy” with Microsoft shares in 2008 were forced to take out money at exactly the wrong time. If they didn’t have enough dividend income to support themselves at the time, they had to sell even more shares for additional income. Sadly, this is reverse dollar cost averaging–selling even more shares when prices are low, which reduces upside when markets normalize. This is the same phenomenon that built your wealth, except now it works against you! The solution is to transition away from ever having to sell a share. And pullback-proof dividends of 6%, 7% or 8% are a great solution. They give you a means to collect regular, secure cash from your nest egg on a monthly and quarterly basis, without being forced to sell low (or sell ever). In fact, you can do even better – you can step in and add money (and reinvest dividends) when prices are low and yields are high. So why not blend a portfolio of 7%+ bond funds with smart stock picks that provide you with similarly high yields with upside to boot? Sure, they may “sell off” a bit if the markets pull back. But who cares. Like a savvy rich investor, you’ll be able to step in and buy more shares when they are cheap – without having to worry about your next capital withdrawal. Let’s take healthcare landlord Omega Healthcare Industries (OHI). The firm’s payout is usually generous, and always reliable—yet, for whatever reason, its sometimes-manic price action gives investors heartburn. 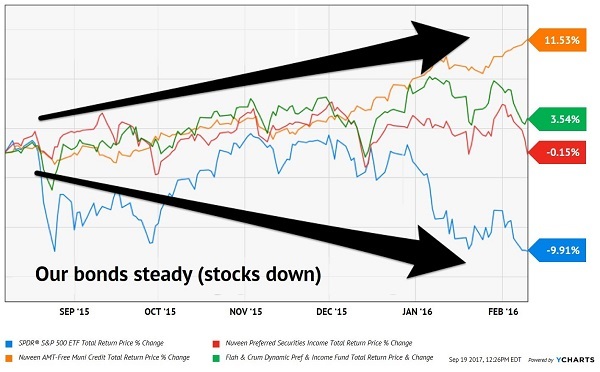 When the stock’s price is high (blue line), its yield is low. Investors should hold here, and enjoy their dividend payments. Today OHI’s yield is neither opportunistically high nor offensively low. 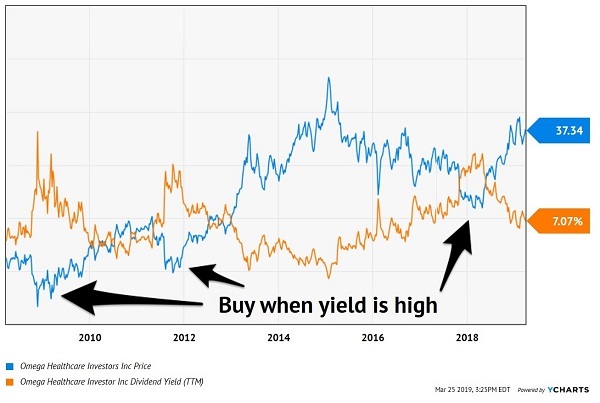 It’s a respectable “hold” in a high yield portfolio. 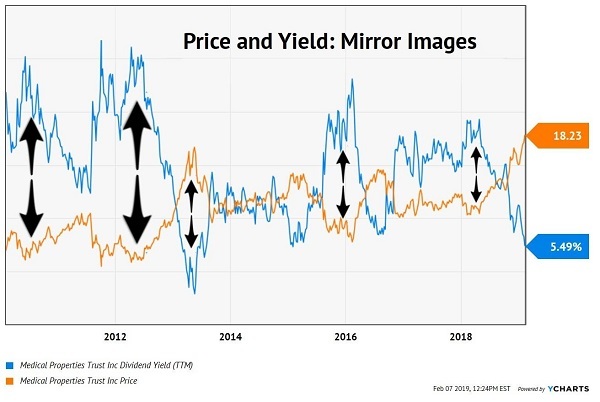 If yield curve or tariff or recession fears drive the price lower, I would recommend buying more shares at their higher yield without hesitation. On the other hand, the recent “market froth” prompted me to sell one of our favorites. Fellow landlord Medical Properties Trust (MPW) is about as recession-proof and pullback-proof as it gets. The firm provides financing to hospitals and pays most of its profits to investors. With its yield near its all-time lows, it made sense to sell (and book our 109% total returns). Even the sleepy high yield space can experience mild bouts of irrational exuberance! Fortunately there are investments with more price upside that will actually give us a raise to boot (from 5.5% to 7.4% dividends).